Every year it seems that once Thanksgiving has been celebrated the remaining five weeks of the year fly by at a blurring pace. Our focus on the Parker Dentistry blog for the last quarter has been on 2018’s most prominent and popular trends. As a dental and wellness practice, we believe in sharing our passion for health and wellness with our all of our wonderful patients. The more you know, the better equipped that you will be to make decisions that will have a positive impact on your health, wellness, and happiness. We’d like to take today to recap the top 12 health and wellness trends of 2018 before we switch gears and focus on 2019. Please feel free to click on the link provided with each trend below for more in depth information about each one. This is a trend that is fortunately only gaining momentum! More of us are becoming more educated and aware of the impact that our personal decisions have on our planet. We are learning that simple changes and substitutions can make significant differences in our health and the health of our world. Giving up single-use plastics, consuming less red meat, eating seasonally and locally, exercising outside, reading labels, and using eco-friendly household products are a few simple efforts we can all make. According to TIME magazine the average individual checks his or her phone 46 times a day! Another report found that 81% of Americans spend time looking at their phone while in a face-to-face situation. While screen addiction is a real thing, many of us are becoming more conscious of the amount of time we spend on our devices. While many of us have long cared about what we put inside of our bodies, what we put on our bodies has become equally as important. Fortunately, there is a growing number of fantastic cosmetic and wellness companies that are making eco-friendly, organic, and effective products. 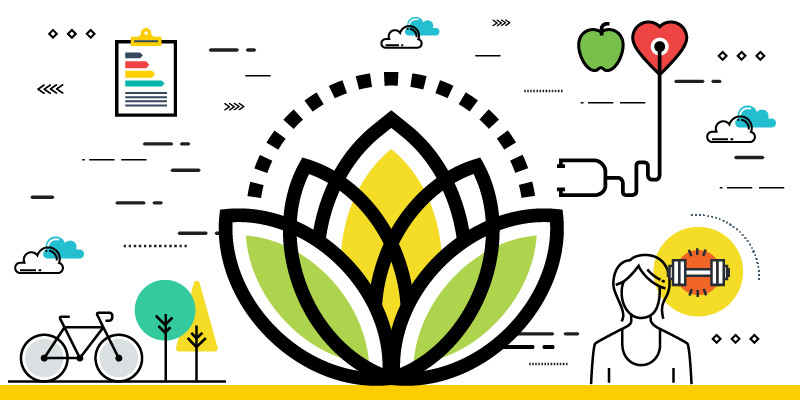 Brands like Burt’s Bees, Yes To, Pacifica, S.W. Basics, Fig & Yarrow, W3LL People, 100% Pure Beauty, MD SolarSciences, and ColorScience are leading the way. Collagen is an essential component of our bones, skin, muscle tissue, tendons, ligaments, nails, hair, teeth, cartilage, vertebral discs, and blood vessels. After the age of 20, our bodies produce 1% less collagen each year. While collagen injections have been on the market for a while, this year saw a rise in the popularity of collagen supplements, powders, and bone broth. Intermittent fasting has recently gained quite a bit of popularity as a pattern of eating. Studies have proven that intermittent fasting helps people lose weight, especially belly fat, and supports the body’s ability to repair, heal, and protect itself against chronic diseases. Buying organic, sustainably-sourced, fair trade, cruelty-free, and vegan has never been more accessible and more affordable. Through our purchases we have the power to affect what is produced and how it is produced. While we’ve always known that sleep is important, many of us don’t get enough quality sleep on a regular basis. Regular sleep deprivation has been linked to weight gain, anxiety, hormonal imbalance, cardiovascular disease, a weakened immune system, high blood pressure, and lapses in neurological functions. Follow our Parker Wellness’s 10 tips to better sleep to get on trend and make sleep a top priority! Say goodbye to fat-free dieting! A diet that is rich in monounsaturated fats (good fats) is very important for your mitochondria, the power plant in your cells that turns food and oxygen into energy. Good fats come from avocado, eggs, coconut oil, cheese, fatty fish, chia seeds, and nuts. These types of fats also help to reduce the risk of heart disease, cancer, and inflammation. While meditation is an incredible practice to incorporate into your daily life, 2018 saw a rise in interest in shorter breathwork series. These shorter breathwork practices can be done anywhere and at any time and have helped relieve stress, anxiety, feelings of being overwhelmed, fatigue, and lack of concentration. 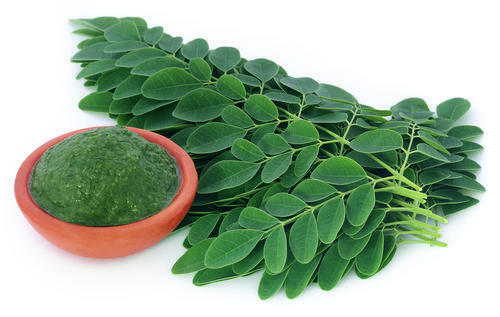 Moringa is one of the most powerful natural anti-inflammatories. While it has long been used in Eastern medicine, it has only recently made its way into Western wellness. Moringa has 3.5 times more calcium than cow’s milk, 9 times the protein of yogurt, 10 times more vitamin A than carrots, 15 times more potassium than bananas, 12 times the vitamin C of oranges, and 25 times more iron than spinach! In 2018, we collectively put our foot down and embraced self-care as an essential daily practice and not a sporadic indulgence. Sage, Palo Santo, rosewater, essential oils, moving meditations, yoga, bubble baths, breathwork, and holding crystals are all powerful ways to cleanse your energy and your personal space. These practices are part of taking care of our spiritual wellness. To achieve the ultimate health, wellness, and happiness we must continue to learn and incorporate habits, practices, and lifestyle choices that are conducive to our wellbeing and the wellbeing of the planet. At Parker Wellness, we want to share what we learn along the way with you. The journey is all of ours. Stay tuned for the top 10 trends of 2019! The word detox is thrown around a lot these days in the health and wellness world. Detox diets, detox smoothies, detox cleanses, detox supplements…well, you get the picture. Our physical body is bombarded by free radicals and toxins on a daily basis. The body will naturally detoxify itself but can only do so efficiently when it is supported with proper nutrients, water, and rest. While physical detoxes have been the rave for decades, spiritual and energy detoxes have been continuing to gain more popularity. Everything is made up of energy. Energy is meant to flow and stay in motion. In the same way that we must take care of our physical health and wellness, it is important that we take care of our metaphysical health and wellness, as well. Energy and space detoxing is a powerful practice. Sage smudging, burning Palo Santo, healing with crystals, and using essential oils is nothing new. In fact, such rituals have been in place for countless generations across many different cultures. If sage and crystals seem a little too new age for you though, don’t worry, there are dozens of ways to cleanse your energy. When we feel emotionally, spiritually, and metaphysically cared for and balanced, everything else in our lives will be able to flow more freely the way energy is intended to flow. Picking a cleansing practice is a personal choice. It can be something that you do every morning or evening or something that you do once a month. You can also cleanse your energy and personal space on a need-to basis. We are a complex and very dynamic species. As we have discussed before, our complete wellness is made up of seven dimensions and our spiritual wellness is as equally as important as our physical wellness. The power of smell, sound, nature, the breath, and self-care is truly extraordinary. Pick an energy cleansing practice that feels comfortable to you. There is no right or wrong, it is really just about taking the time to go inward and rid the body and surrounding space of anything that no longer serves you well. Postive energy attracts positive energy! When was the last time you made time for yourself? When was the last time that you put your personal needs and wellness before everything and everyone else? For many of us, our families, friends, careers, and household responsibilities tend to take precedence over our own self-care. We give love, compassion, and attention to those who mean the most to us, but often neglect to shower ourselves with that same love, compassion, and attention. In 2018, a shif occured from self-care being viewed as an indulgence and a luxury to self-care being an essential part of our everyday lives. This is a trend you should absolutely get on board with! 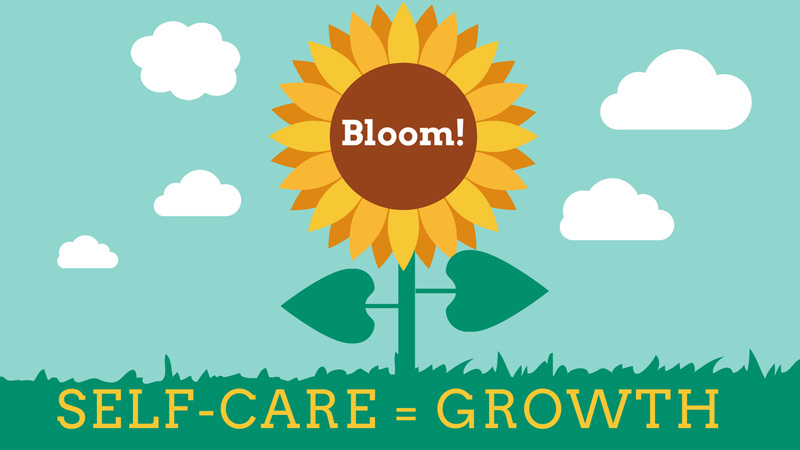 A daily self-care routine is not as time consuming as you might imagine it to be. When we are feeling our best, we are capable of being our best in all other aspects of our lives. Making the time to take care of your mind, body, and soul will not only improve the quality of your life but can also improve your overall health and wellness, as well as your relationships and career. There are so many ways to give yourself a little extra TLC and how you care for yourself on a daily basis is different for each and every one of us. What’s great about a self-care practice is that you can mix and match your practices and every day can be different. What’s important is that you remember to set aside a little time just for you. There are endless ways in which you can practice a little self-care on a daily basis. Our advice to you is to do at least one thing just for you every day. Pick one of the above or come up with your own and start the self-care and love today! You're a happy, vibrant person, but does your smile reflect that? Stained teeth, gaps and enamel defects change your looks and confidence, but take hope! Your cosmetic dentists at Parker Dentistry in Hollywood, FL can rejuvenate your smile with treatments tailor-made for you. Dr. Stephen Parker and Dr. Blake Parker and their dedicated team have the artistic and technical skills and heart to develop your best look. You and your smile are one, and thankfully, your teeth are healthy. But, you want them to look as young as you feel. Your cosmetic dentist in Hollywood can help with a treatment plan suited your needs and preferences. A cosmetic dentistry consultation at Parker Dentistry is a friendly, frank discussion of what services will lead you down the path to that perfect smile. Yes, your professional team at Parker Dentistry delivers the latest in facial aesthetic treatments, too--the perfect complements to your renewed smile. Aesthetic dental services, brighten, whiten, straighten and restore smiles. That's exactly what Parker Dentistry provides, and satisfied, smiling patients testify to it. Call us today for an appointment, or arrange your consultation through our website. Parker Dentistry rebuilds smiles. Yours could be one of them. Phone (954) 983-5450. Inflammation is the root of all bodily evil. Inflammation is linked to nearly every chronic disease and is at the source of physical pain. Chronic inflammation has been connected to cardiovascular disease and autoimmune disorders, among a long list of other detrimental maladies. The good news though, is that inflammation can be controlled and even eliminated through your diet. Superfoods are foods that provide greater health benefits than other foods. This is due to their high concentration of vitamins, minerals, and nutrients. Most superfoods are plants. Kale, quinoa, broccoli, blueberries, chia seeds, green tea, and turmeric have long topped the charts of super powerful foods that can reduce inflammation, as well as lower cholesterol, decrease oxidative stress, protect your heart, strengthen your immune system, and even prevent cancer. But watch out, there’s a new member on the scene and she’s incredibly powerful! Moringa is a tree that is grown in tropical and sub-tropical parts of Asia, Africa, and South America. While this tree and its leaves, pods, flowers, seeds, fruit, and bark have been used in herbal medicine for centuries in the countries where it naturally flourishes, it is only recently become more widely known and used in North America. This year, moringa really took the center stage. It is most commonly found in powder form, which is simply made from grounding up its leaves. Moringa is a popular add in to smoothies, acai bowls, juices, salads, and beverages like kombucha. The powder has a mild nutty and grassy taste, similar to an earthy tea. Moringa has 3.5 times more calcium than cow’s milk, 9 times the protein of yogurt, 10 times the vitamin A of carrots, 15 times the potassium of bananas, 12 times the vitamin C of oranges, and 25 times the iron of spinach. Moringa is one of the strongest natural anti-inflammatories. It is even stronger than turmeric! This vibrant green superfood has 15 anti-inflammatory and pain-relieving nutrients. One of the easiest ways to take control of our health and wellness is by taking control of what we are putting in our bodies. Adding superfoods like moringa, chai seeds, hemp seeds, cacao, and flax seeds to your smoothies, pressed juices, fruit and yogurt bowls, acai bowls, or salads is the easiest way to load up on these nutrient-dense foods. The results can be truly life changing and life extending!